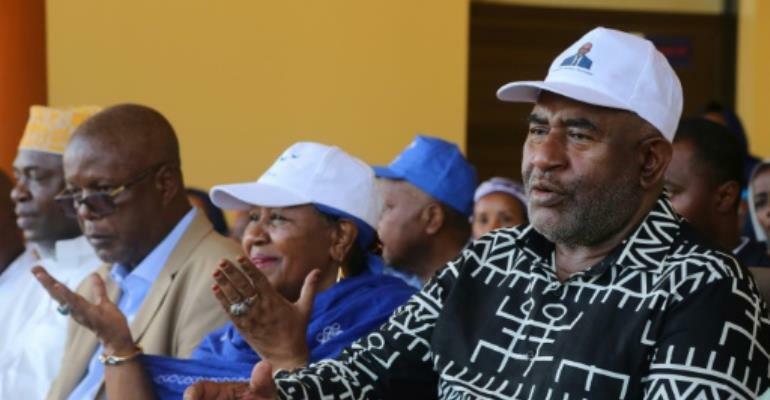 Police in Comoros arrested 12 women on Thursday, activists said, after they took to the streets to protest the re-election of President Azali Assoumani in polls they say were rigged. The opposition has flatly rejected Azali's victory with 60.77 percent of the vote in Sunday's polls as the angry mood threatened to spark a new political crisis on the archipelago. Azali, who previously led a coup, ruled the country between 1999 and 2006, and was re-elected in 2016, left his 12 poll rivals trailing. Both observers and community groups have questioned the credibility of the vote. Armed police dispersed them, and 12 of the protesters were arrested for unspecified crimes. "We have had enough of what's happening. We wanted to deliver a memorandum to the Supreme Court but we weren't able to," march organiser Samoa Abdoulmadjid told AFP. "The police arrived and started rounding people up." Opposition parties in the coup-prone Indian Ocean country have opted not to appeal the vote's outcome but called instead for new polls to be held as soon as possible. Interior Minister Mohamed "Kiki" Daoudou has dismissed criticism of the polls' conduct and said that "it's not the street which rules the country".